Imre Bergamasc's life has been nothing if not interesting. Returning from the grave to rule the galaxy, one might be tempted to say that he's taken the worst the universe could throw at him and emerged triumphant. But Imre's problems are only beginning. Caught between saboteurs, spies, and assassins, his personal quest remains unchanged - to find the people responsible for the Slow Wave that killed the most advanced minds in the galaxy and bring them to justice. Could it be the Luminous, enigmatic entities who played a role in his own liberation, years ago? Or the shadowy secret organisation calling themselves the Barons? His search for answers will lead him along the darkest, most dangerous byways of human civilization - shadowed always by the mysterious entity known only as Himself. Could it be that the original Imre Bergamasc still exists and is pursuing the end game of a centuries-long strategy? Only one thing is clear: the decisions he makes now will not only unlock the secrets of his past, but decide the fate of the galaxy. 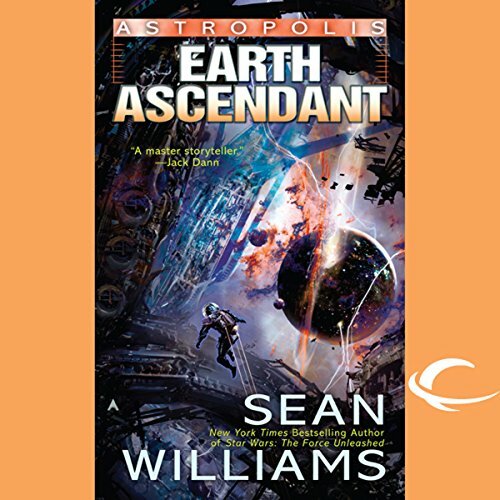 ©2008 Sean Williams (P)2008 Audible, Inc. But, content not for me. All of which deserve to be read and in This instance heard. wonderful in Every way.